During your travels, you know that you'll want to capture great shots to post to Facebook and Instagram and share with friends and family back home. However, don't underestimate how much you'll value these photos in the future. You might want to hang them on the wall or publish them to a portfolio. 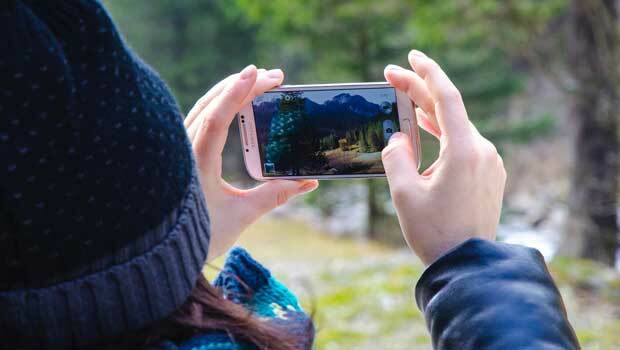 Even if you don't have a professional camera or technical photography skills, the newest smartphones come with high-quality cameras. If you have a smartphone, use these tips to help you take beautiful photos that will help you treasure your memories abroad for years to come. Unless you’re on Snapchat, hold your phone sideways when you take a photo or video. Horizontal orientation gives you room to capture more of the scene. The dimensions are also more suitable for publication on the web. 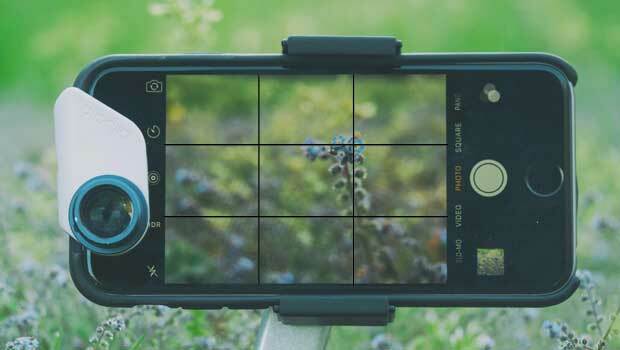 Capture more of a great landscape by snapping horizontally. Your phone's camera zooms into your subject digitally, not optically - which means your photo will look pixelated if you zoom in too much. Whenever possible, you should move closer to your subject and take a photo without zoom. If that isn’t possible, you’re better off cropping the photo later than zooming while taking the photo. Pay attention to the lighting and time of day. Where is the light source in your photo? Is the sun behind your subject, casting him or her in the shadows? Turn around so that the sun is shining on your subject’s face. Are you in Paris, looking to get the perfect shot of the Eiffel Tower? Your best bet is for the sun to be behind you, shining on the tower. Natural light will produce clear, organic-looking shots, so don’t forget to take as many pictures as possible on a clear, sunny day. Photos taken right before sunset often come out especially beautiful! When possible, avoid using your camera's flash - you may cast an unflattering bright glare on your subject. Tap your subject to focus the light. Let’s say that a bright light is making the subject of your photo appear too dark. To lighten up your image, tap on the area or subject you want to focus on. You want to be sure that the details of your photo, such as people's faces, are clearly defined. Put people in your photo. While a gorgeous landscape can be great to look at in person, a photograph can rarely capture the majesty of our natural world. People in your photo will give the landscape a sense of scale, and you’ll be happy to have your friends, family, and other travel companions in your photos when you look at them later. Your phone has likely just been sitting in your sweaty pocket or a bag that could use a good cleaning. Wipe your lens for a crystal-clear photo. Try using a cleaning cloth that comes with your glasses or sunglasses. Use your phone's gridlines option to give your photo a sense of balance. The rule of thirds suggests that the main subject or the action in a photo should be taking place along these gridlines to create more visual interest. Check for balance in your photos by using gridlines. Artistic effects can always be added to photos later. For best results, use your regular camera settings and save the filters for Instagram. Try taking photos from different angles, experimenting with reflection, and generally trying to look at the world in a new way. This will make your photos more interesting and compelling!